CBD Oil Review rates HempMeds with three stars because it qualifies for the Quality, Charity & Innovation Badges. 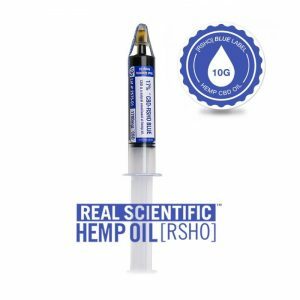 Not only was HempMeds the first mainstream distributor and retailer of CBD hemp oil (and the only ones bringing CBD to Mexico), but they continue to set high standards for the rest of the CBD industry. Offering brands such as Real Scientific Hemp Oil, Cibdex, Cibaderm, and Dixie Botanicals, HempMeds covers about every niche of CBD product. Our only beef with hempmedspx.com is their lack of published Certificates of Analysis alongside each product; a shame considering the pride they take in their TripleLabTesting™ process. HempMeds was the first mainstream CBD hemp oil distributor and retailer (as well as the first company to bring CBD to Mexico and Brazil) and has over 100,000 loyal customers to date. While we would say that speaks for itself, Coca-Cola and Kraft could make similar claims, and as such, it cannot necessarily be an accurate barometer of a vendor’s integrity. However, not only did HempMeds play a pivotal role in paving the way for many CBD businesses to come, but continues to maintain a leadership role by demonstrating excellence in almost every right. 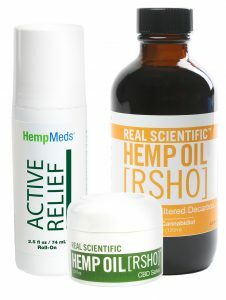 HempMeds is the parent company of many brands, including Real Scientific Hemp Oil, Dixie Botanicals, Cannabis Beauty Defined, Cibdex, and Cibaderm. Both prince and pauper alike will find respite here, as products on hempmedspx.com range in price from $19 to $1546. HempMeds sells everything but the kitchen sink; you’ll discover topicals, edibles, tinctures, concentrates, spritzers, isolates, body care products, and even hemp bedding and litter for your cat. 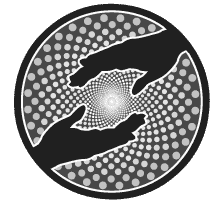 HempMeds discusses their rigorous TripleLabTesting™ standards at great length, which is indeed an important thing to do to alleviate customer concerns about safety. However, before we can award our coveted safety badge (and add HempMeds to the heralded group of four-star vendors), we need to see Certificates of Analysis for each product on their site. All in all, HempMeds is an excellent option for those seeking variety and consistency in their CBD medicinals. HempMeds sources a special cultivar of non-GMO European hemp, grown without the use of pesticides or herbicides. HempMeds offers the Veteran’s Discount Program, making CBD more affordable to those who have served in the military. HempMeds has been a trailblazer in the field of CBD, being one the first to make a legal cannabinoid alternative. I am very disappointed with hemp meds. They offer a veteran's discount if you send in your documentation which contains your social security number and other personal information. After several emails trying to obtain my discount I was finally told there was a glitch in their computer systems and they had been working on it for several weeks. I feel they should have changed the information on their website and responded with that information as soon as I scanned and sent my personal document. I am very angry they have all this information about me and it took over 5 emails to get this answer. I ordered CBD oil in February of 2017 and cannot be more pleased with the quality of the product and the outstanding customer service! I highly recommend them!